I have not been able to find any direct evidence concerning the parents of Catherine Kelly, my great great grandmother. However, circumstantial evidence leads me to believe that her parents were John Kelly and his wife Elizabeth, whose maiden name appears to have been Cummins. In addition, I believe that Martha Kelly, who married William Runyon, and whose descendants are related to me via the Wheeler line, was a sister of Catherine, a theory first proposed by a half-cousin about two decades ago. John and Elizabeth also had a son who I will refer to as John Jr.
Emily Isabelle “Belle” Wheeler Hurst was my grandmother and Catherine Kelly’s granddaughter. Belle kept a notebook in which Catherine’s father was mentioned as being from Ireland and who had a twin brother who died from eating frozen potatoes. Belle’s notebook also said that Catherine’s mother was a Cummins. Elizabeth Cummins Kelly was born about 1772. Martha Kelly was born in 1803. John Kelly Jr. was born about 1806. 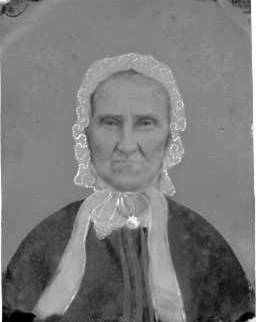 Catherine Kelly was born on August 8, 1807, according to Belle Wheeler Hurst’s notebook. All four were born in Virginia according to census records. John Kelly Sr. died before exact ages were entered into census records, but based on the 1820 census, he was born before 1775. John Kelly first appeared in the records of Wythe County, Virginia, in the 1810 census where he was the head of a family which included 1 male age 10-16 (slightly too old for John Jr.), 1 male 16-25 (John himself, although probably not in correct age category), 1 female 0-10 (the correct range for Catherine and Martha), 1 female 10-16 (slightly too old for Martha), and 1 female 26-45 (no doubt Elizabeth). In the 1820 Wythe census, John Kelley’s household included 2 males age 0-10, 2 males 10-16 (the correct range for John Jr.), 1 male 18-26, 1 male over 45 (no doubt John Sr.), 3 females age 0-10, 1 female 10-16 (the correct range for Catherine), 2 females 16-26 (the correct range for Martha), and 1 female over 45 (no doubt Elizabeth). Since there were only 5 children age 10 or under, the increase in family members by 8 since 1810 is difficult to explain. One possible explanation is that in 1810 there was a Patrick Kelly family in Wythe, which was not there in 1820. Perhaps something happened to Patrick and his wife, with their children being taken in by John and Elizabeth. Another explanation is that the 1810 census John Kelly was the lawyer later found in Grayson County. Also possible is a simple mistake, which was not uncommon in census records. According to Mary Kegley’s Wythe County Court Order Abstracts, Vol. 3, on February 10, 1824, Elizabeth Kelly and David Pierce were appointed to administer the estate of John Kelly, deceased. Elizabeth was no doubt John’s widow. (William Lindsey, probably the brother of Catherine’s future husband Jesse Lindsey, was one of four persons named to appraise the estate.) Unfortunately, there was no will or deed mentioning John’s children. Catherine Kelly and Jesse Lindsey were married in Wythe County on January 20, 1830. Martha Kelly and William Runyon were married, probably in Wythe, on June 11, 1834. John Kelly, Jr., and Rachel Baker were married in Wythe on September 24, 1837. In the 1830 Wythe census, Elizabeth Kelly was head of the household. The family included 1 male age 10-15, 2 males 15-20 (slightly too young for John Jr.), 1 female 10-15, 1 female 20-30 (the correct range for Martha), and 1 female 50-60 (Elizabeth). Catherine was no doubt the unnamed female age 20-30 living with husband Jesse Lindsey, since they were married earlier in 1830. The female age 10-15 might be accounted for by the Nancy Kelly who married Lewis Cressel in Wythe on January 10, 1832. I have not been able to trace this Cressel family further. However, of the 3 females 0-10 in the 1820 census, two have disappeared. They either died, or perhaps the extra female added from 1810 to 1820 was a mistake all along. On June 9, 1834, John Kelly Jr. was granted a writ to build a mill and dam across Macks (also called Max) Creek, according to Vol. 4 of Mary Kegley’s Wythe Co. Court Order Abstracts. Macks Creek is in what is now Pulaski Co., very near where the Lindsey family lived on Big Reed Island Creek, and across the New River from what was at least later the Runyon farm. On the same day John Jr. proposed an alteration to the “lead mines road” which is still a main road on the southeast side of the New River. (The end point of the road alteration was to be the “field of Mrs. Jemima [Breeding] Hurst.” – my 1st cousin 3 times removed, who was the widow of Thomas Hurst, who was also my 1st cousin 3 times removed. Most of the Hursts in the area now are descendants of this couple.) From the same source, on August 13, 1838, “Elisabeth Hurst, orphan of Thomas [and daughter of Jemima] Hurst, deceased, upwards of age 14 chose John Kelly guardian.” Elizabeth Hurst married Nimrod J. Whitaker on August 16, 1838, in Wythe County. The age range discrepancies in the 1810 through 1840 census records are unfortunate, but not unusual or surprising. In the Pulaski 1850 census, which listed all members of a household, their exact ages, and their birthplaces for the first time, John Kelly Jr. was age 44 and his wife Rachel was 42. Among his children was William C., age 2. Also in the household was Elizabeth Kelly, age 78, no doubt the younger John’s mother and the widow of the elder John. All members of the family were shown as having been born in Virginia. Martha was listed, age 47, with her husband William Runyon. Their household included Alexander, age 9, and Eliza, age 7, who later became the 2nd wife of William Raleigh Wheeler. Catherine, age 43, was with her husband Jesse Lindsey and eight children, including Mary, age 8, who became the 1st wife of William Raleigh Wheeler, and Emily, age 4, who later married Charles Whitlock Hurst, my grand uncle. In the 1870 census, Catherine is age 63, living with her husband who is listed as “Jessee Lyndsey.” Martha, age 67, is with her husband William Runyon. The household also included daughter Eliza J., age 27, and son Alexander, age 29. In the 1880 Pulaski census, which for the first time listed the birthplaces of everybody’s parents, Martha Kelly Runyon listed her father as having been born in Ireland. Unfortunately, Catherine Kelly Lindsey listed her father as having been born in Virginia. My explanation for this difference is that while Martha was then the head of her household and probably met the census taker herself, Catherine was living with her son-in-law and his second wife and the information was probably given to the census taker without consulting her. Note that the second wife of Catherine’s son-in-law William Raleigh Wheeler was Eliza Jane Runyon, the daughter of Martha Kelly Runyon. His wives were probably first cousins. I have looked in the early Wythe and Pulaski censuses for other Kellys who might possibly be Catherine’s or Martha’s parents. In Wythe in 1810 there was a Samuel Kelly and the Patrick Kelly mentioned above. Samuel, age 26-45, lived alone. In 1830 there were two men named Joseph Kelly. One, listed right below Elizabeth Kelly, was in the 30-40 age range, living with a female in the 20-30 range. The other Joseph Kelly, two pages earlier, was also in the 30-40 range, with two females, one 0-5, the other 20-30. Obviously, neither Joseph Kelly was old enough to be the father of Catherine or Martha. I have not determined if any of these other Kellys are related to John, Elizabeth, John Jr., Catherine, and Martha. In summary, John Kelly was foreign-born according to the 1820 census. Elizabeth Kelly was clearly John’s wife. John Kelly Jr. was clearly their son. John Kelly Jr. and Martha Kelly Runyon were siblings, based on her son Alexander [Campbell] Runyon living with and being listed as the cousin of William C. Kelly, John Jr.’s son, in 1880. Martha Kelly Runyon’s father was born in Ireland, based on her 1880 census listing. Catherine’s father was born in Ireland according to her granddaughters Emily Isabelle Wheeler Hurst and Eliza Jane Wheeler Davis. Belle Wheeler Hurst also gave Elizabeth Kelly’s maiden name as Cummins. No other Kelly in the Wythe or Pulaski census reports at that time was listed as having been born in Ireland or even foreign-born. Catherine’s future husband’s brother appraised John Kelly’s will. Catherine and Martha both had children who married William Raleigh Wheeler. John Kelly Jr. built a mill and dam, and probably lived, on Macks Creek near the Lindsey and Runyon families. Early census records allow for Catherine and Martha as unnamed daughters in John Kelly’s household. Martha was almost certainly the daughter of John Kelly and his wife Elizabeth. There is less evidence for Catherine, but John was the only Irish-born Kelly around to be her father. John Kelly’s family was the only Kelly family in the Wythe County censuses taken just before and after Catherine’s marriage. The census records, geographical proximity, and family relationships all point in the same direction and in no other: Catherine Kelly was the daughter of John Kelly and Elizabeth Cummins. See Descendants of John Kelly and Elizabeth Cummins. That said, there was still a possibility that my theory was wrong, since there was no direct genealogical evidence. But in 2003 a new method for possibly proving these relationships came to my attention. The year before I had subscribed to the RootsWeb Genealogy-DNA mailing list and had taken some Y-chromosome DNA tests to prove my Hurst ancestry. On May 20, 2003, the list moderator, Ann Turner, made the following statement in a post: “Females can have their mitochondrial DNA tested, but the results don’t help with connections in the genealogical time frame (unless you are testing two specific people whom you suspect might be related through a female lineage).” Major light bulb moment! I certainly suspected Catherine and Kelly were related in the female lineage – sisters, as daughters of Elizabeth Cummins Kelly – but obviously I couldn’t test them. Mitochondrial DNA (mtDNA), without getting too scientific, is passed from mothers to their children. Men and women both have mtDNA, but men don’t pass it down to their descendants. I immediately understood that I needed to find and test direct maternal descendants of Catherine and Martha. Looking at my family tree program, I saw that my father and his sisters were Catherine's direct maternal descendants, so the sisters' children and their daughters' children, etc., would qualify. For Martha, I had fewer candidates, but one was the half-cousin who years ago had suggested the possible relationship between Catherine and Martha. He quickly volunteered for the test and I eventually got a volunteer from Catherine's side. I ordered the tests for both cousins and then had to wait a few weeks for the results to come in. The first set of results showed that my closer cousin was in haplogroup H, or Helena's Clan, the most common for those of European background. I had ordered the mtDNAPlus tests from FamilyTreeDNA, which meant that two "regions" of DNA were tested. At that time there was only one person in the FTDNA database who matched for one region, but not on both regions for a high-resolution match. All mtDNA results are based on mutations, or differences, from a standard called the Cambridge Reference Sequence (CRS). Then in October the results for my half-cousin came in. The mtDNA for the two cousins matched perfectly, both low- and high-resolution. Each had the same five mutations from the CRS. Due to the very slow rate of change in mtDNA, these results would also apply to each person in the maternal line back to Catherine and Martha Kelly and a common ancestor of both. Since the two Kellys were born four years apart, probably in the same county, that common ancestor was most likely their mother, Elizabeth Kelly, whose maiden name, based on my grandmother's notebook, was Cummins. I now know, with as much certainty as can be possible from a combination of traditional genealogy and DNA, that my great great great grandparents were John Kelly and Elizabeth Cummins. I know what Elizabeth's mtDNA was, even though she died before 1860 and was no doubt buried in an unmarked grave in Pulaski County. I also know my father's mtDNA; I already knew his Y-Chromosome DNA from testing myself for that. I was able to inform more than 20 cousins what their mtDNA probably is. Not bad for a test which is often said to have no use in genealogy. As a footnote to the above, on my way home from Christmas in Tennessee in 2004, I met with yet another cousin in Pulaski County, Virginia. I'm related to him through the Hursts and the Kellys, since my great uncle Charles Whitlock Hurst had married another daughter of Catherine Kelly Lindsey. At our meeting he produced two similar tintype photographs, one of which was our common ancestor and my great grandfather Allen Whitlock Hurst. After recovering from my astonishment at seeing that photo, I guessed that the second photo was of his wife, Rebecca Ashworth. No, I was told, that was our ancestor Kitty Lindsey. I realized I was looking at the image of Catherine Kelly! I couldn't decide which was the more astonishing, that I was looking at 19th century photos of two of my direct ancestors, or that I knew precisely Allen's Y-DNA and Catherine's mtDNA. Since my newly-met cousin was also a direct maternal descendant of Catherine Kelly, I was able to tell him what his mtDNA probably is and how I was able to determine it. As a further footnote, I have since found the tombstones of Catherine’s husband Jesse Lindsey and daughter Mary Bailey Lindsey Wheeler in the Calfee-Lindsey Cemetery in Wythe County. Their son Fleming S. Lindsey is buried in the Memphis National Cemetery in Tennessee. I have tombstone photographs of several more of Catherine’s and Martha’s direct maternal descendants; knowing their mtDNA adds additional meaning. One additional mtDNA test was run on the sample provided by the descendant of Catherine Kelly, revealing that the line belongs to subhaplogroup or subclade H1*. That group, using the mtDNA clan name “Hope,” has a website where the results are entered. Results for both descendants are also posted on the Hurst DNA Project public website. It would be of value to know the Kelly Y-chromosome DNA signature, but the line has apparently “daughtered-out.” There are also no known direct male descendants of Jesse Lindsey, but test results from two of his cousins’ descendants are posted at the Lindsey International website. A new phase of the tests on this family began when I realized that another Cummins woman besides Elizabeth Cummins Kelly lived on the south side of the New River in Wythe County during the same period. Her name was Rachel Cummins and she had married William Hirst (later spelled Hurst) in Loudoun County, Virginia, on January 22, 1798, consent being given by her father Joseph Cummins. William Hurst and Joseph Cummins were both listed in the 1810 Montgomery County, Virginia, census. By the 1820 census the William Hurst family was in Wythe County. In 1826 William bought land on Big Reed Island Creek in Wythe, an area now in Pulaski County. In 1827 he bought an adjoining parcel of land from William Lindsey, bordering the property of William Lindsey’s brother Jesse. So Rachel Cummins Hurst was living about five to seven miles from Elizabeth Cummins Kelly and next door to Elizabeth’s daughter Catherine. There was even a marriage in about 1857 of a grandson of Rachel to a granddaughter of Elizabeth. My suspicion was that Elizabeth and Rachel were related, perhaps even sisters. All I had to do was find a direct maternal descendant of Rachel and have one more mtDNA test performed. For this and other reasons I have obtained data on about 850 descendants of William and Rachel, so I eventually found a few in the direct maternal line and one of them agreed to test. Unfortunately, when the test results came back there was a difference of one mutation between that sample and the two Kelly descendants. Normally, that would mean the connection between the two lines was perhaps 30 generations back. But with the same surname, similar age, geographical proximity, etc., I still suspect the connection was more recent. I don’t even rule out them being sisters after all, since a mutation can occur in any generation after Rachel – but I can’t prove that. If I ever find a direct maternal descendant of another daughter of Rachel, perhaps another test will be tried. Incidentally, Y-DNA tests have been performed on descendants of two sons of William and Rachel Hurst, proving that they are a different line from my “Hursts of Shenandoah” line. Those results are also on the Hurst DNA website. Portions of the above were previously published in the Mount Vernon Genealogical Society Newsletter.